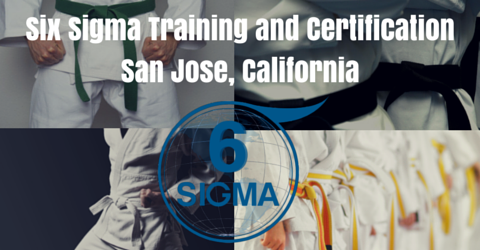 At 6Sigma.com we take great pride in being able to offer training for both Green and Black Belts at the same time, for the first two weeks. This leaves trainees with more time than they had previously thought while it also grants corporates with far more flexibility than they would have previously forethought. Moreover, it is our absolute pleasure to offer onsite Six Sigma Champion leadership courses for organizations in San Jose which are eagerly looking to implement six sigma principles on their premises. A final note from us would be with regard to the prospect of availing a huge discount of $1000 on signing up for both Green Belt and Black Belt after Green Belt together; just use the discount code BB1000. Please contact the hotel for reservations. The Hampton Inn & Suites Mountain View hotel is located near the junction of Highways 101 and 85 in the heart of the Silicon Valley halfway between San Francisco and San Jose, California. Our Mountain View, California hotel is elegantly appointed in an upscale Japanese Garden style atmosphere. Some local Mountain View attractions include Shoreline Amphi-theatre, Shoreline Golf Course links, NASA/Ames Research Center, Paramount’s Great America Theme Park, Bay Area’s Great Mall, Stanford University, Santa Clara Convention Center and many more. Whether you are traveling to California for business or pleasure, our hotel rooms and facilities have been designed to provide you with comfort and relaxation. 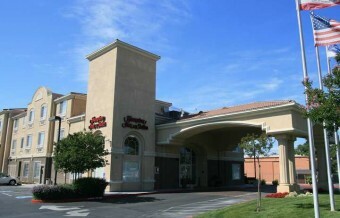 Hampton Inn & Suites Mountain View, CA features 88 hotel guestrooms including double queen, standard king and studio suites. The Hampton Inn & Suites hotel in Mountain View, California has spacious hotel guestrooms which are equipped with two phones, voicemail, data ports, complimentary high speed-internet access, refrigerators, microwaves, iron and ironing board, coffeemaker, hair dryer, in-room safes, remote controlled color cable television and On Demand, pay-per-view movies. This Mountain View, California Hampton Inn hotel also offer our complimentary On the House™ hot breakfast, hi-tech conference room for up to 45 people, a guest business center, an outdoor whirlpool, a fitness center and a Suite Shop.